If you haven't realised just how big a deal the survival and exploration genre is right now, take a look at the top of the Steam charts. DayZ managed to fend off its competition throughout the Christmas sale: staying in the top spot throughout the event, all while avoiding the discount infection. It sold 875,000 copies in three weeks , and has now found a survival buddy in the shape of Rust . 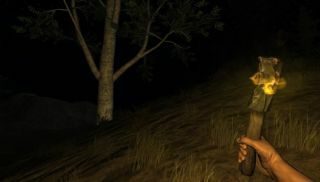 The alpha survival game from Garry Newman and Facepunch Studios is securely in second place on the Steam chart, and has itself sold 150,000 copies in the first two weeks . So what's the appeal of the game? To find out, Rust player and YouTube videographer Argyle Alligator started interviewing other players inside of the game. Their responses weave a tale of rocks, headshots and hilarity.